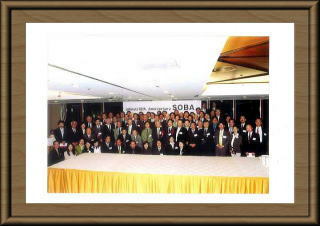 "SOBA no Kai" is the abbreviation for "SONY OB&OG Association". Members consite of people who have left SONY before the retirement age and are presently active participant as executives in other companies. Members are mainly foreign-affiliated executives, and as is our company's president. Book Title:"Man step up from SONY as foothold"
Chapter:"Aspire to Top maker of Wearable Computer"
Book Title:"Saltation of Unreleased IT Venture Company"
Chapter:"Development of Electronic HIF as interface between human and machine." Book Title:"Predawn of business promotion, Chase the dream! Challenge of 11 venture persons."